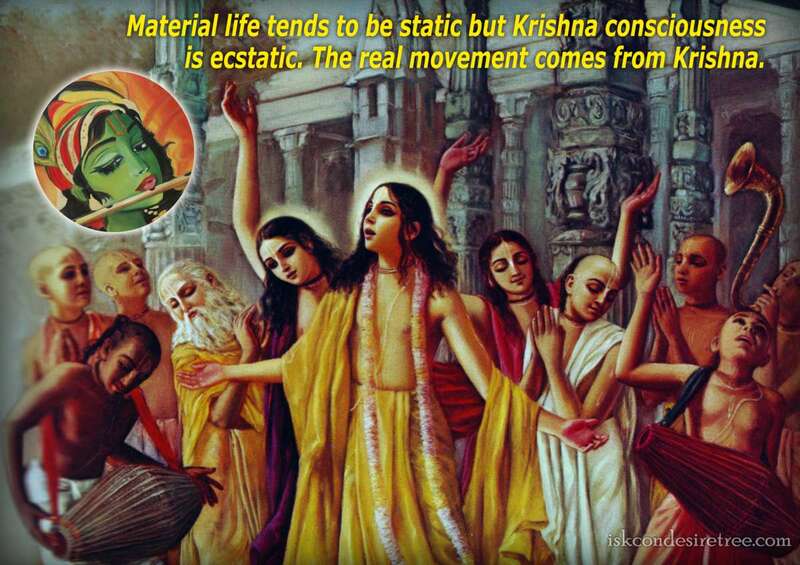 Material life tends to be static but Krishna Consciousness is ecstatic. 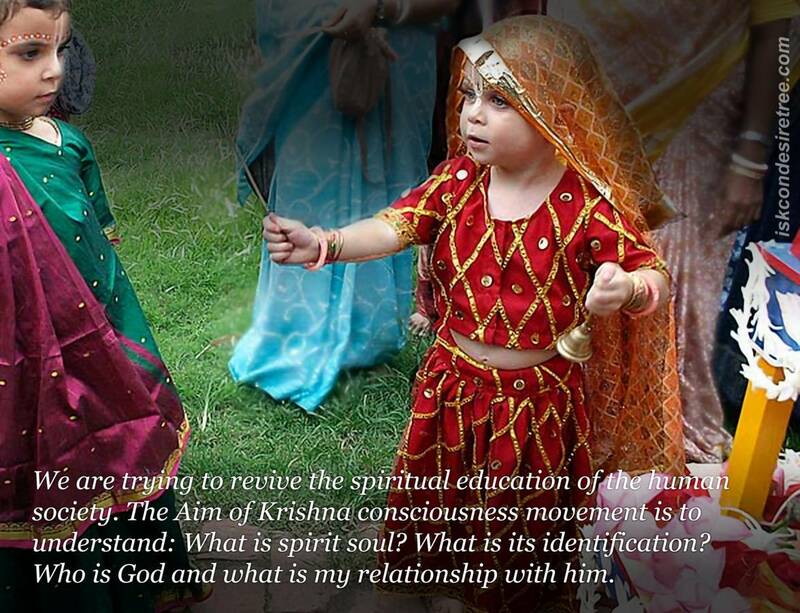 The real movement comes from Krishna. 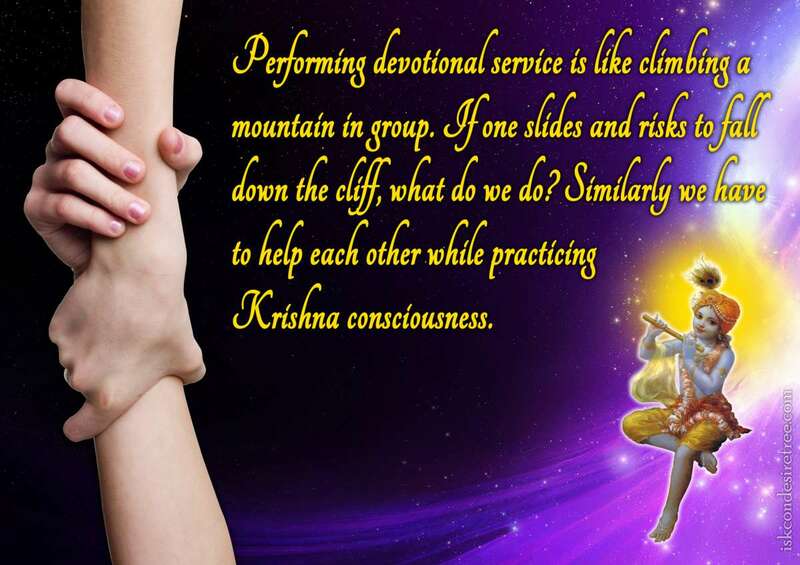 Performing devotional service is like climbing a mountain in group. If one slides and risks to fall down the cliff, what do we do? 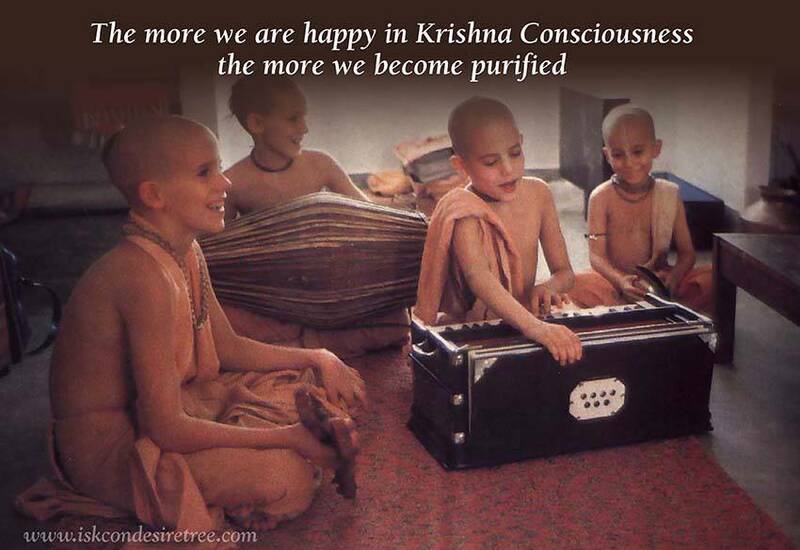 Similarly we have to help each other while practising Krishna Consciousness. 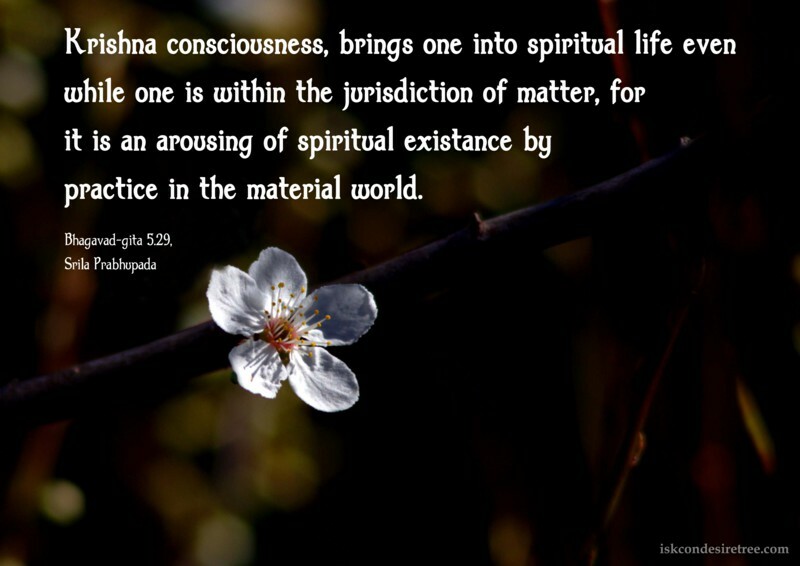 Krishna consciousness, brings one into spiritual life even while one is within the jurisdiction of matter, for it is an arousing of spiritual existence by practice in the material world. This world is completely overwhelmed by materail problems. 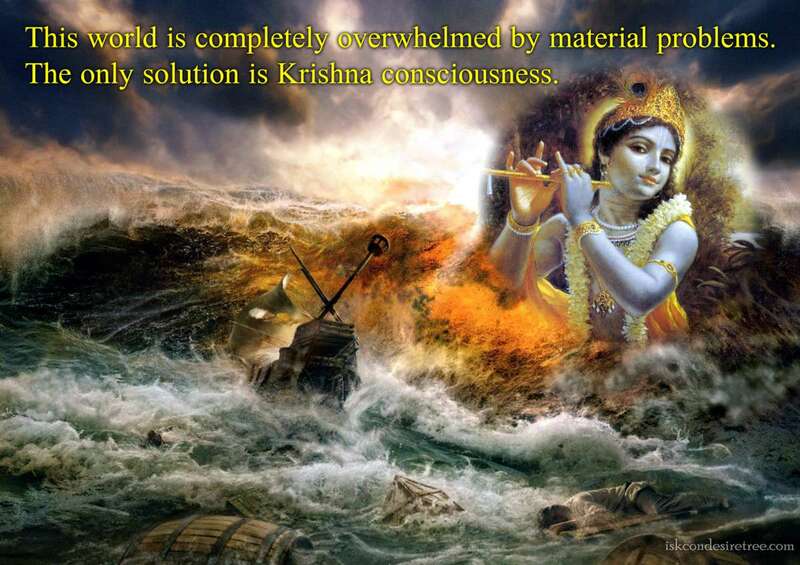 The only solution is Krishna Consciousness.